The moment of the demons’ defeat became their greatest victory. In the carnage after the last great battle against the demons, a doomed general discovers their hidden victory. Instead of being annihilated, unspeakable evil escaped into many unsuspecting worlds. To fight them, the men and women of the Crimson Pact must sacrifice everything—including their own lives. Explore 26 stories based on the world created in “The Failed Crusade,” by Patrick M. Tracy and included in The Crimson Pact Volume 1, about the valiant men and women who refuse to let the demons win, and those unfortunate souls caught in the epic struggle raging across the multiverse. New York Times Bestselling author and Campbell award nominee, Larry Correia, and many urban fantasy, steampunk, sci-fi, horror, and fantasy writers tell the tales in this diverse collection of short stories, flash fiction, and novellas. With stories by Patrick M. Tracy, Richard Lee Byers, Jess Hartley, Donald J. Bingle, Chris Pierson, Barbara J. Webb, Kelly Swails, Sarah Hans, Patrick S. Tomlinson, Sarah Kanning, Isaac Bell, Elaine Blose, Kathy Watness, Daniel Myers, Justin Swapp, Rebecca L. Brown, Gloria Weber, Garrett Piglia, T.S. Rhodes, Lester Smith, Chanté McCoy, Suzzane Myers, EA Younker, Craig Nybo, and Larry Correia. Join the pact. Fight the demons now. 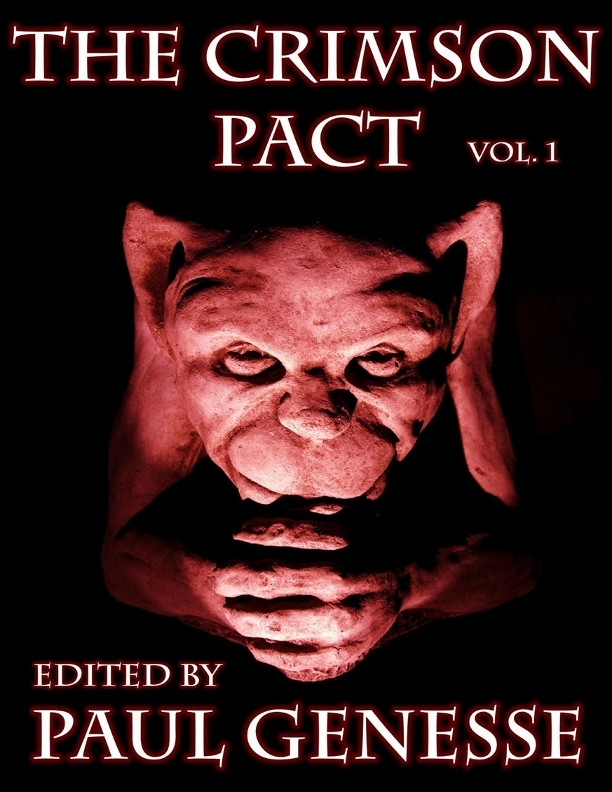 Crimson Pact Volume 1 is available now at DriveThruFiction.com!